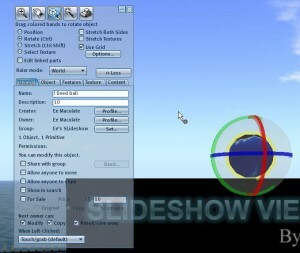 Step 1: Rez viewer while wearing group tag, or set group after rezzing in the same way as for the deed ball (step 4). 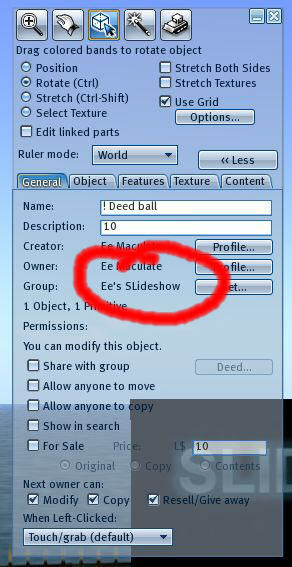 Step 3: Now right-click and choose “edit” to bring up the edit window, it should look something like this. Note the group has been set because I was wearing the group tag. Step 4:If the group has not been set then do so now, click the “Set” button to the right of the “Group” field and select the correct group. Step 6: Then “Deed” by pressing the “Deed” button (1). 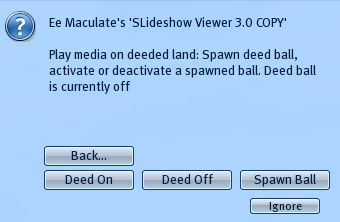 You may get a warning window coming up, just press the “Deed” button again (2). 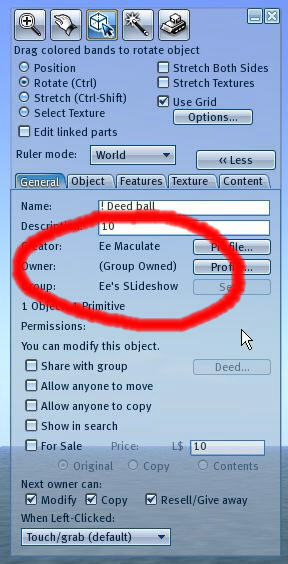 Step 7: You will now notice that the deed ball says “(Group Owned)” instead of you as the owner and you are done! It won’t let you deed? 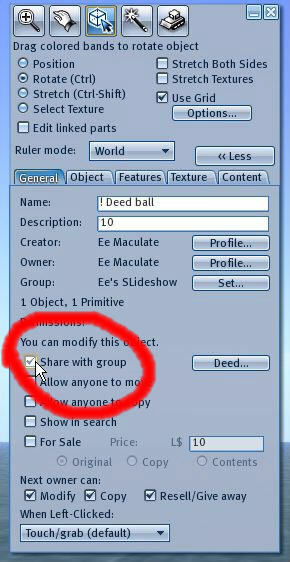 Your group “role” needs to allow you to deed objects to the group. This can be checked from the group admin page by the following steps. 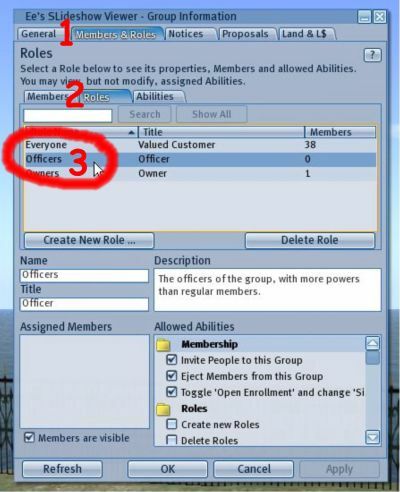 Bring up the “Group Information” window and click on the “Members & Roles” tab (1). Then choose the “Roles” tab (2) and finally the role you want to check (3). Here we will check the “Officers”. 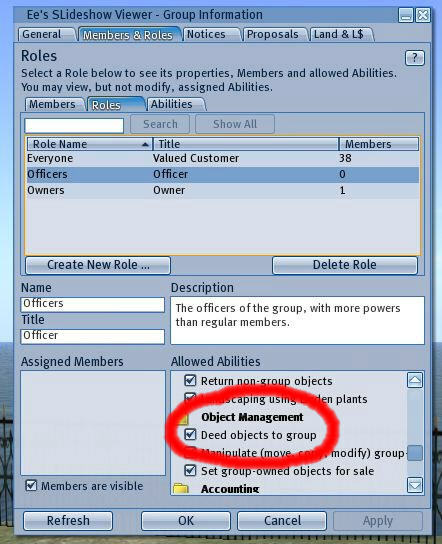 To be able to deed objects the “Deed objects to group” in the “Object Management” settings should be ticked. Still can’t see any media? If media doesn’t start autimatically you may also need to press the “Play” button in the controls that appear at the bottom right of your viewer. 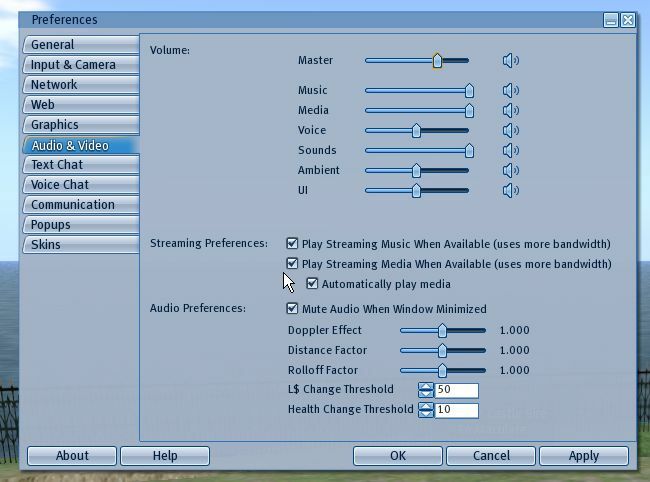 The first controls are for streaming audio, the second for media, and then volume control. The audio controls are faded since there is no audio streaming on the parcel. Notice how the media controls are not faded.